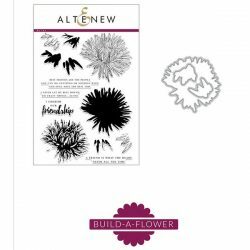 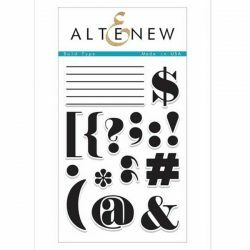 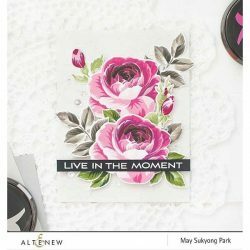 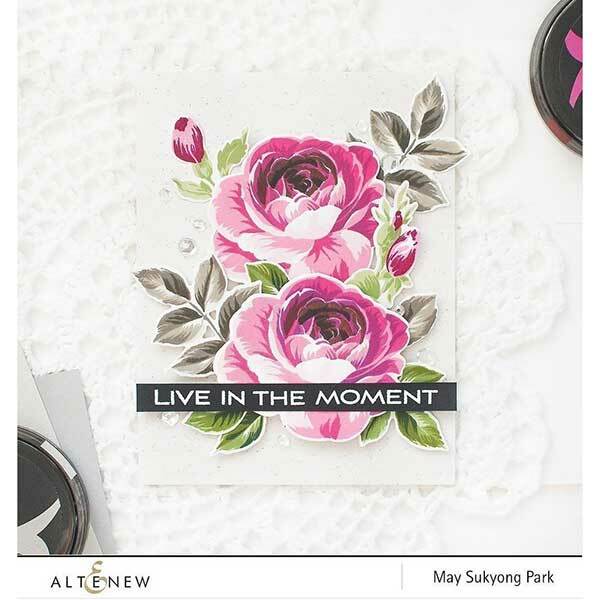 Build A Flower: Rose stamp and die set by Altenew. 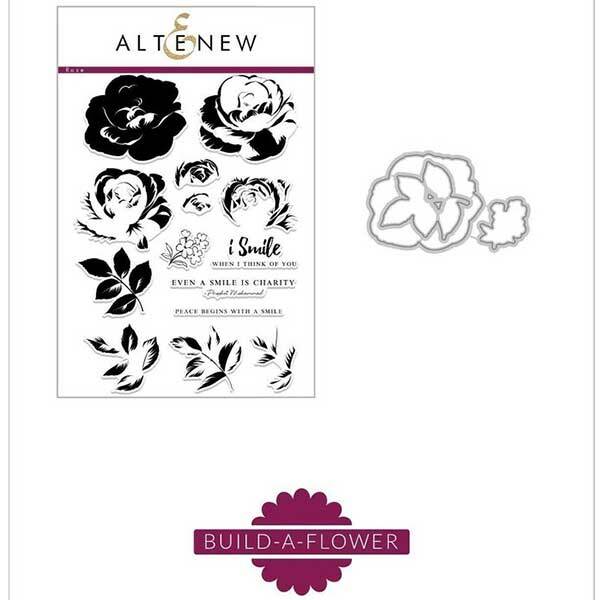 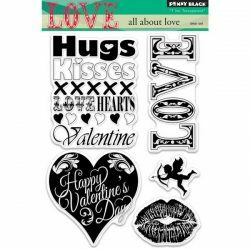 The Build-A-Flower: Rose set includes 1 6×8 stamp set (14 stamp images) and 1 coordinating die set (3 dies).Roses are heart-stoppingly beautiful, and their aroma is equally show-stopping. With such an impressive presence, it is no wonder that roses have symbolized some powerful elements throughout human history. 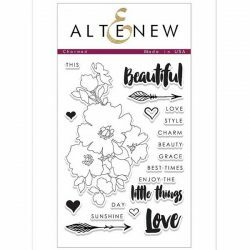 Altenew tried to capture the timeless beauty of this flower by giving it extra depth with six layers. 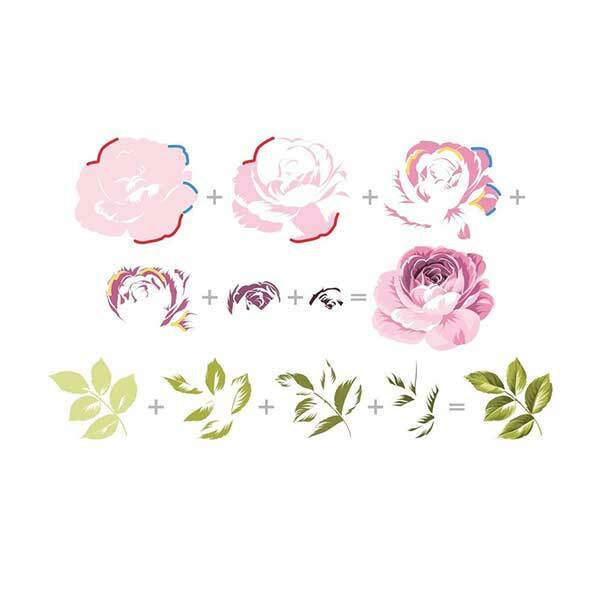 Achieve a realistic look with this Rose set which is a must-have for every flower lover!